Gwendolyn Bunnewith has made a huge mistake. Earlier today she pronounced “bass” as “bass.” A common mistake with uneducated students. While reading an excerpt to a story of a bass-fishing bass player, she misread the words and the entire class made fun of her. Students were calling her “stupid” and “unintelligent.” She laughed it off, but with a fake laugh. For those of you readers who might have trouble understanding the difference, here are two pictures. On the left, you have a picture of a bass. On the right, you have a pretty good picture of a bass as well. 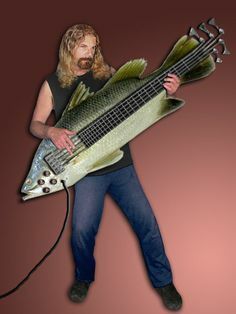 Here is the lead singer of Nickelback, Chad Kroeger, playing a bass bass. So, was Gwen justified in making this mistake? When we analyze the photos we can clearly see the difference between them: one is obviously a bass, while the other is clearly a bass. In the English world, one might call these two words “homonyms,” which are two words that sound differently, but are spelled the same. However, it is now up to the general public to decide whether or not her mistake was justified with a laugh.